The course fees for your qualification will depend upon your University. However, unlike your undergraduate degree there is no cap on the maximum an establishment can charge. In London alone, the fees range from £16,500 (University of Westminster) to £38,000 (Imperial College London). As well as this it is also important to take into consideration the costs of living during your course of study. This will not only include your rent and travel, but also the cost of food and equipment (like a laptop and reference books) you may need in order to complete your course. Would studying part-time be a cheaper option? In general, the course fees for a two-year part-time course are likely to be more expensive overall than the fees of a qualification that only takes 12 months to complete. However, don’t be misled into believing that studying on a part-time basis is always the most expensive option for the student. Many students opting for part-time courses do so in order to balance their student workload with other employment. This significantly reduces the amount of money they need to borrow from the banks, so they are able to avoid paying too much interest on anything they do borrow. If you already have a job, and your employers are willing to be flexible about your hours, then this option may be worth considering. 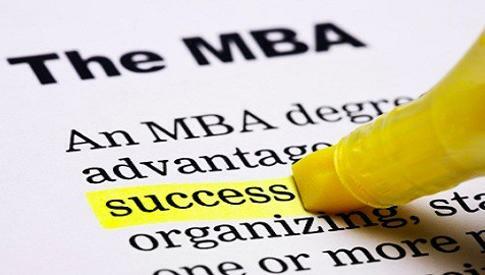 More often than not, your MBA will be of significant value to your employer as well as to your own career. Many companies encourage the training and professional development of their work force and larger companies may be more than willing to sponsor their employees looking to take postgraduate qualifications. Some companies may pay the full cost of your fees, whereas others may simply contribute towards the costs of your course. However, it is also worth nothing that if your employer does cover some of the costs, then you may be required to sign a contract stating that you will work within that organisation for a specified period of time. There are a number of scholarships, grants and bursaries for students who demonstrate academic potential and strong business acumen that will cover some, or all, of the MBA costs. Scholarships and bursaries will be available to students through their university or through private funding, and may also cover some or all of the fee costs. There are also certain bursaries available that help towards the living costs of your course. Loans are probably the most popular means of funding a course at any level. Unlike undergraduate study, you will not be able to get a loan from the Student Loans Company, but instead will have to go direct to the bank and secure an MBA loan which will help contribute towards financing some of your fees. The MBA loan works in a similar manner to the Professional Career Development Loan, except that it allows candidates to borrow larger amounts (from £1,000 - £25,000) as the course fees a significantly higher than many other postgraduate courses. If you have some savings, a part-time job or a rich relative, then congratulations – you’re one of the fortunate few who are in the enviable position of self-funding their course. Even if you’re not completely able to cope with the costs of your course, it is always best to borrow as little as possible from the banks in order to avoid racking up debt. Instead of using your loan to cover all of your costs, use it to cover the course fees alone and use personal savings or part-time wages in order to cover the living costs. It may seem like the harder option in the short run, but you’ll be thankful in the long term!